January 7, 2016 ~ NickyB. Monday MJ slept on the way home. Tuesday MJ slept on the way home. 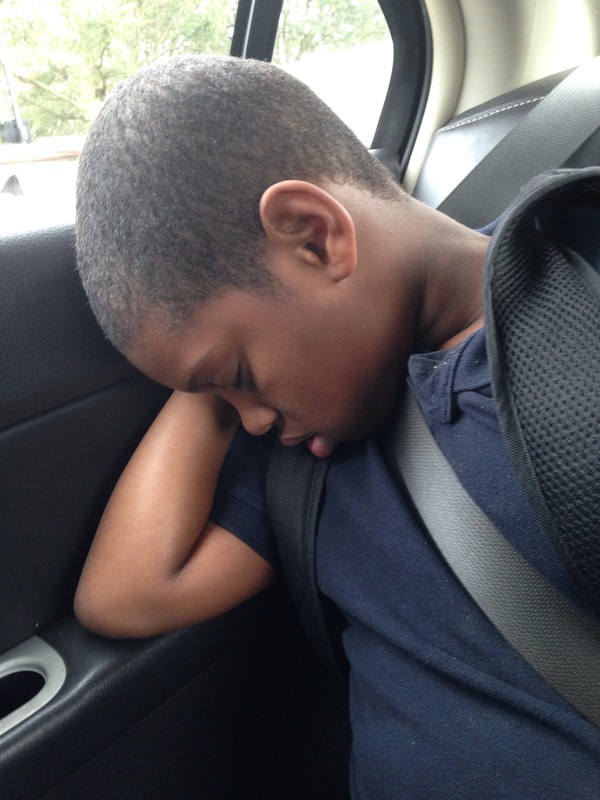 Wednesday MJ slept on the way home… See a pattern here? We’ve experienced a little change in weather and he appears to be fighting off a “bug” right now. I’m hoping we all will be back on track by next week. < Previous What A Year! Aw, he looks sweet, though! I’m sure the adjustment will pass. Thank you. He is sleeping within 5 min. of getting in the car! Ahh, I feel the same way! The break from the usual routine, the sleeping in, the lounging – it was all very nice. I am struggling to get back in the groove. He does look sweet. Maybe a growth spurt? Getting back to a full day of school is exhausting for my Little Man. Hope you all settle back in soon. Happy New Year! it is hard getting back into the routine for sure! 🙂 It is awesome that he was excited to go back to school! I know. I love that! It’s so wonderful that he is excited about returning to school! One of the reasons I’m dreading my son starting school, is the changes to routine that holidays bring about. Some days I think I rely upon his routine as much as he does, perhaps more. In a world where things can be so challenging, being able to depend on what comes next can be the only relief I get in a day. The difficulty that is dinner time is always eclipsed by the joy of his shower afterwards. The tantrum before bed always ends with cuddles with me and his favourite truck. Knowing what’s next always helps me get through what’s difficult now. I believe that’s one reason why he loves school so much. He knows and likes his routine, knows what’s for lunch etc. Aww thank you. It is difficult getting back into the swing of things. Enjoy your holiday!